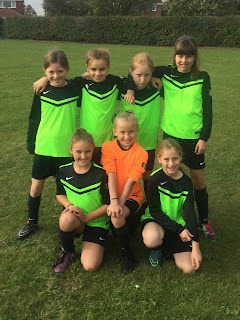 Friday 14th October 2016 was the first of three football festivals to be held this year for girls 6 a side football. The festival was held at Millbrook school and was very well attended by schools in Wantage area including: Millbrook, St James, Charlton, Stanford, St Nics and Stockham. Wantage played four games during the afternoon winning two matches against St Nics and Stockham, drawing one match against St James and losing one match against Millbrook. Unfortunately despite doing so well we just missed out on a place in the semi-finals.